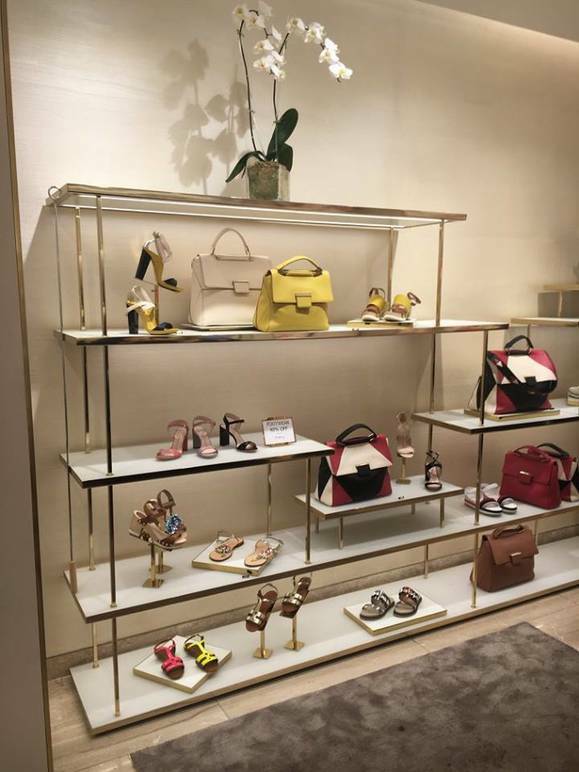 From June 9-11, the new Furla flagship boutique in its prime, prestigious location on 5th Avenue, sparkled with the vibrant, effervescent colors of Italian summer, held a three days special event celebrating the upcoming season in true Italian style. 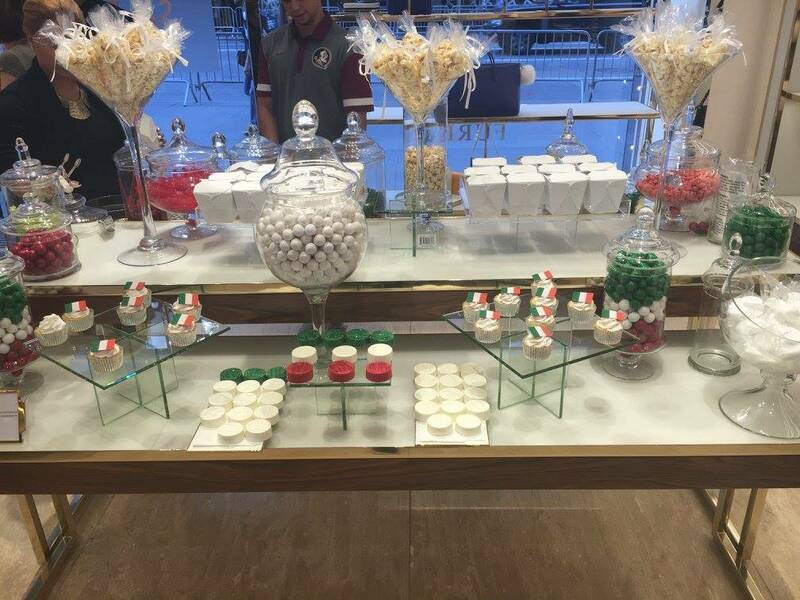 Costumers were welcomed and greeted with exquisite flutes of personalized Italian prosecco and a banquet of original sweet treats prepared in the colors of the Italian flag, made for the occasion by a luxury bakery. Compositions of green, white and red candies and pastries, along with bouquets of popcorn, caught the eye of shoppers as soon as they stepped into the store, and were invited to have a splash of refreshing prosecco and choose their own favorite selection of candies that they could take home in cute, little take-out boxes. Also, the Furla clients had a 10% OFF discount on sale items. 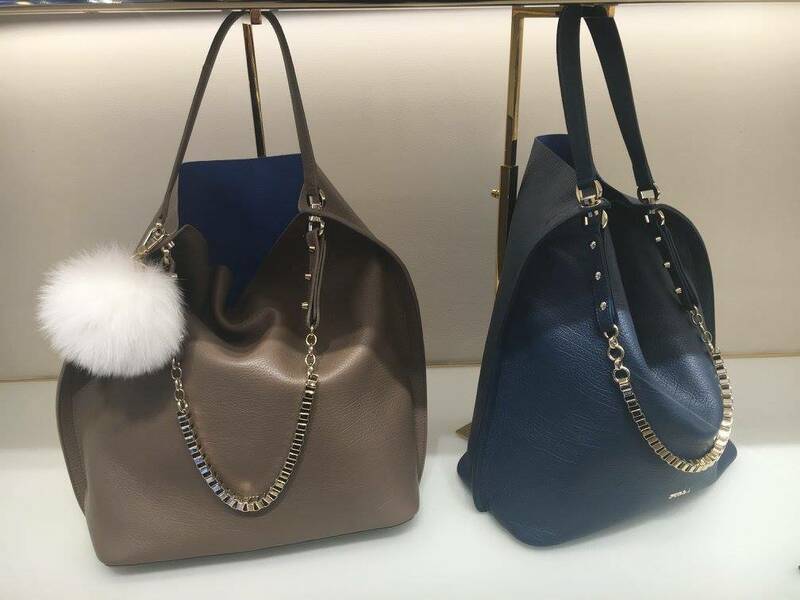 A fresh and original idea that thrilled Furla’s affectionate clientele and brought once again under the spotlight this new boutique that broke into the American market with the enduring style, grace and innovation of a brand which represents decades of authentic Italian tradition. Feminine and smart, classy but modern, the Furla brand embodies all the Italian fashion principles of quality, durability and design. Captivating beauty, authentic craftsmanship and the constant search of new technology in simple shapes, saturated colors and rich textures. Furla 5th avenue reflects the youthful exuberance of the stylish brand with its vivid colors, coated in LED screens, minimal lines and pastel tones that effectively embraces the items and make them shine - a pure pleasure for the eyes. You are invested by an energetic and electrifying vibe when you step into the boutique; the vivacious energy and the warmth of the retail team is infectious, young and dynamic; its kindness is only comparable with the precision and the attention for detail with which the different accessories are exposed and presented to the clients. 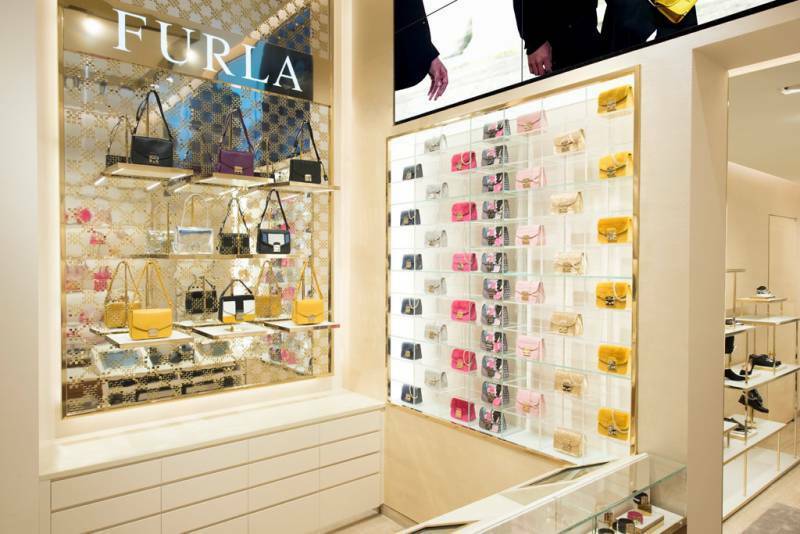 After its records and achievements all over the world – Furla currently exports to 71 countries - and after its recent breakthrough on the oriental market, specifically Japan, the Italian luxury company was waiting for the perfect place to maximize the brand’s footprint in the U.S. market. 5th avenue, one of the most fashionable, glamorous, and best shopping street in the world couldn’t be a more natural choice. For the special occasion of this opening, the long lasting tradition of the Italian artisanal haut couture maison – founded by the Furlanetto family in Bologna in 1927 – met New York City’s signature iconic elements in the limited edition “Fifth Avenue” collection of bags, small leather goods and accessories featuring unique details like abstract skylines, graffiti letters and cartoon apples. The famous “Metropolis Furla bag” found a new metropolis to accompany its style with the fizzy, fast-paced day of the New York woman. Not only targeting women, the brand new men’s collection is taking hold very quickly as well. Not just New Yorkers are enjoying the experience. 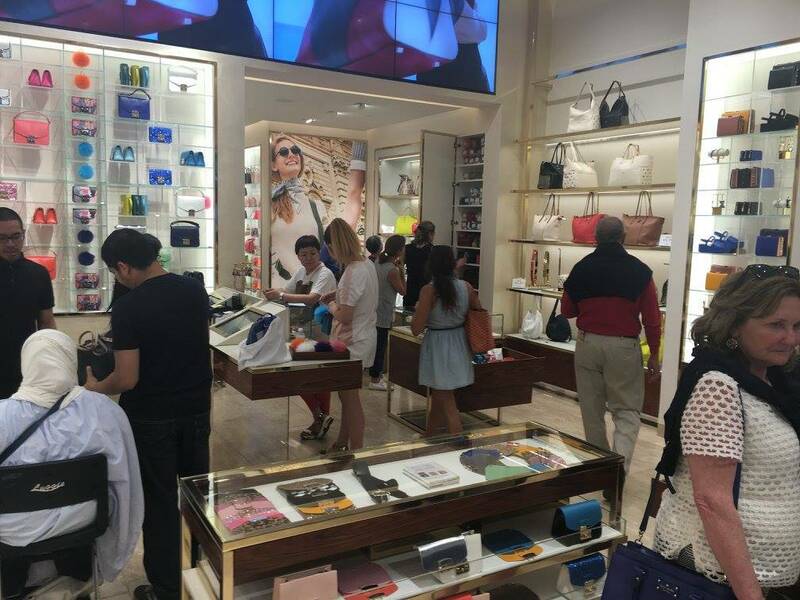 5th avenue dresses the entire world, and the tourists are made like family by the Furla team for the constant shopping regularity and the affectionate sense of belonging. As Furla’s new artistic director, Fabio Fusi, underlines, the idea of the Furla’s woman didn’t change, it’s just evolving according to the modern times. She is still a busy, intelligent, working girl, curious and acculturated, fascinated by art, but she is also outgoing, fun, ironical, glamorous, and a party girl. That’s why her accessories have to be functional and durable, easy to wear but also light, fresh, trendy and beautiful for her fun times, something she truly desires to have and chooses from a variety of many different options. The new upcoming collection incorporates updated patterns and embellishments with new modern lines inspired by contemporary art, which has always been a source of inspiration for the Furla’s designers. The connection between Furla and visual arts is very consistent - the Furla Art Prize, which has been running for 15 years, has discovered some of the most interesting talents of our times. Tradition and modernity is a dichotomy that runs into the DNA of the brand and the new collection reflects this trend. Furla’s global best seller, the Metropolis bag – a miniature cross-body that comes in a range of attractive colors, prints and materials, becoming a full lifestyle brand; is now available in a combination of new rich, fresh colors and metallics. “The Capriccio” shoulder bag, with its deconstructed trapezoid shape, is now interpreted in a luxurious fur model with striking blue and black stripes. The new winter ‘it bag’ will be “The Club” – a shoulder bag in soft calfskin and ponyskin, two straps make it extremely versatile, with the wide guitar providing comfort in the daytime, while the slimmer strap adorned with metallic details makes for a smooth transition to a glamorous night out in the town. Irresistible is also Furla’s famous collection of bear bags, bear charms, and the funny, colorful “Candy bag”, another trendy best seller that showcases all the originality, irony, wit and just that hint of artistic foolishness with which the brand makes a difference in the world of top luxury accessorizing. Unstoppable, always trying to find new creative ideas to wow its clientele, the Furla 5th Avenue team is already promoting a new big event for the 4th of July, and it’s going to be another sparkling occasion for all the lovers of fashion, fun and pure class.